This new group was launched at the Parish Centre on the 18th May 2017 and runs on the 1st and 3rd Thursday afternoons each month at 2pm in the Parish Centre. This event is for people with dementia and another person, probably a family member. The two-hour session includes time together and time apart with lots of activities. Please get in touch for more information if you are interested in attending or volunteering. Referral guidelines for professionals are in the Resources section. We are pleased to work in partnership with many local referrers, especially Cohens the pharmacy and Grange Park Surgery. 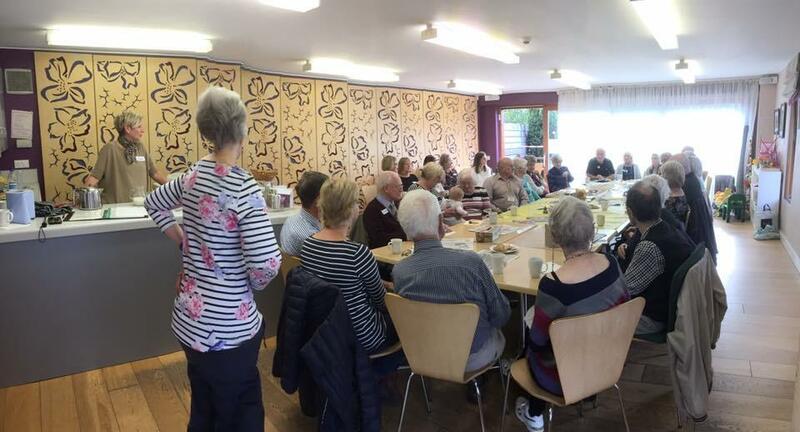 The practice has put together a dementia action plan which can be read here: https://www.dementiaaction.org.uk/members_and_action_plans/7606-grange_park_surgery. There is a very useful notice board in the waiting area.